Dave Rivas was born & raised in beautiful San Diego, California and has lived there his entire life. He's been a professional actor and voice over artist for over 15 years and has performed on camera, on mic and on stages all over beautiful San Diego, from The La Jolla Playhouse and The Comedy Store in La Jolla, to The San Diego REPertory Theatre in Downtown and The Old Globe Theatre in Balboa Park. On stage Dave specializes in comedy, musical comedy, farce and physical comedy. He is also well versed in dramatic roles and the works of William Shakespeare. He is a member of The San Diego Shakespeare Society and is also a board member of Teatro Máscara Mágica, a non profit theatre company that produces multicultural theatre and provides professional theatrical opportunities to underrepresented segments of the population. Another mission of the Teatro is to subsidize ticket prices to make live theatre affordable to families and the less affluent. TMM's annual Christmas production of, "La Pastorela" or, "The Shepherds Tale" has been called, "San Diego's longest running theatrical tradition". Dave is very well known for the character he plays in the show, "Cholo Satan". Dave is also co-director, co-producer and the sound designer for "La Pastorela". TMM is not the only theatrical company Dave is a part of. 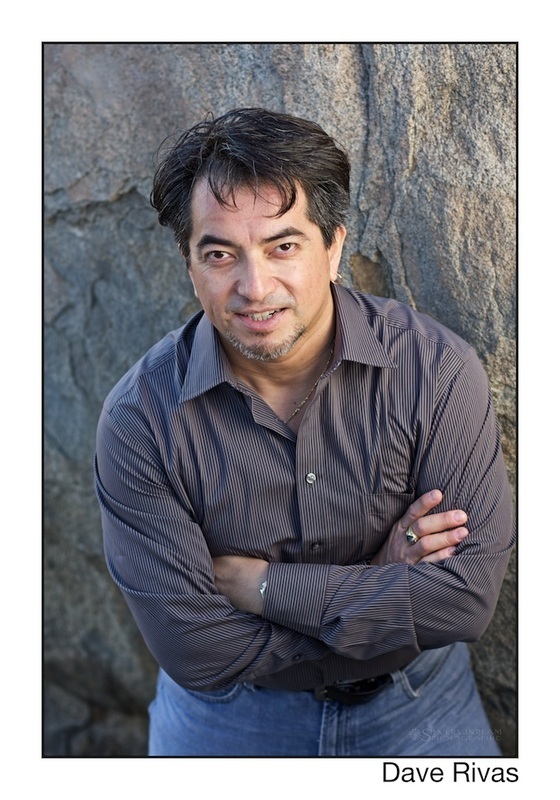 Dave is also a core member, director and producer for Amigos del REP, a volunteer community council that promotes Hispanic/Latino/Chicano arts and education at San Diego REPertory Theatre. The Amigos have free staged readings once a month. They also produce surround events for The REP's season of shows. Dave Rivas is a very talented actor, singer, comic, and all around performer in many ways. But his favorite talent in the arts is voice acting. Dave has lent his voice(s) to T.V. and radio commercials, messages on hold, E-learning, but mostly video games for 15 years. He has a growing fan base for the multiple characters he voices for Star Trek Online, primarily the voice of Va'Kel Shon, Captain of The U.S.S. Enterprise-F. Having been a voice over artist for so many years, Dave has not only mastered his craft on the microphone, he has also honed his skills as a sound editor and sound designer. He has designed sound for a number of theatrical shows and events as well as creating promotional spots for private and corporate clients. Dave also teaches workshops on acting and voice acting at schools, in groups or on a one on one basis.